Eurofighter, a consortium of European aircraft makers, wants to sell 40 Eurofighter Typhoon 2020 jets to the Turkish Air Force, senior company officials said . "We are offering to Turkey the opportunity to jointly develop the Eurofighter 2020, the next version of the Eurofighter," said Marco Valerio Bonelli, head of public relations and communications at Eurofighter. "It wouldn't be parts production, but joint development." 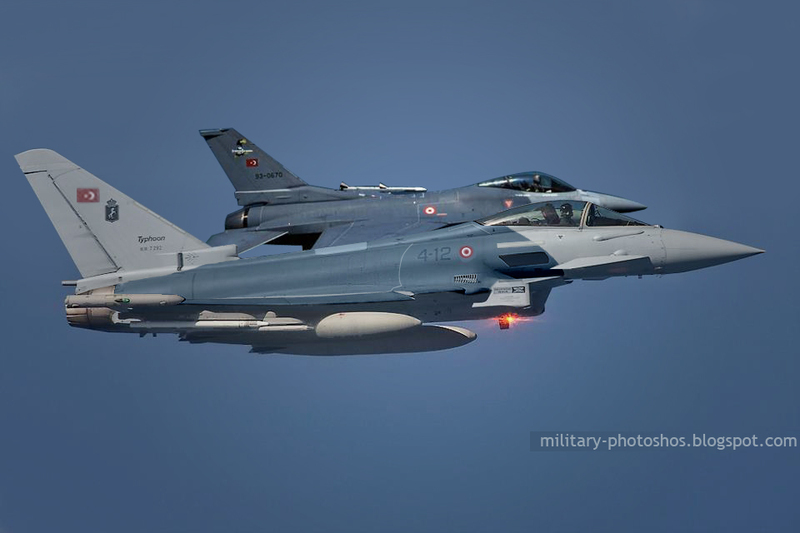 Eurofighter Typhoon of Turkish Air Force flies with TAF F-16 over Aigan sea. "We would like to provide two squadrons of Eurofighters to Turkey," said Giorgio Zappa, director general of Finmeccanica, an Italian conglomerate, whose subsidiary Alenia Aeronautica is one of the makers of the Eurofighter. Two Eurofighter squadrons consist of nearly 40 aircraft. "Our cooperation [with Turkey] had been based mostly on industrial and commercial cooperation. Now we need to carry this cooperation to the strategic level, for 30 to 40 years," said Guido Crosetto, Italy's deputy defense minister. "Today we are making together a helicopter, tomorrow we can move to another helicopter type, and then we can move to an aircraft," Crosetto said. "This matter will be one of the subjects I and [Turkish procurement chief] Murad Bayar will be talking about during my visit." All three officials spoke to the Hürriyet Daily News & Economic Review at the opening of Finmeccanica's Ankara office. Senior Turkish and Italian officials attended the opening ceremony.